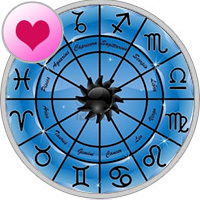 Love horoscope offers a plunge headlong into a romantic adventure. Most likely, you will have interesting meetings and lots of positive emotions. And this applies to couples: it is time to refresh your feelings. Great time to chat with loved ones. If you recently conflict with your loved one, do not miss the chance to improve relationships. The energy of the number 9 indicates a tendency to exaggerate personal problems. You should not look for non-existent deficiencies in your partner and take minor troubles to heart.